At the end of last year Sharing Abundance was launched to harvest and distribute fruit in the suburbs that would otherwise go to waste from private and public land. 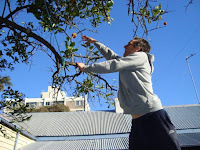 Inspired by seeing so much perfectly beautiful fruit being allowed to drop from trees and rot on footpaths and alley ways, Sharing Abundance offers a service - to harvest and maintain those trees and distribute the fruit equitably in the community where the tree is grown. Similar projects are currently being run in the UK and Canada. Now, here in Australia, this service is currently only available in Moreland but hoping to expand across Melbourne and beyond. 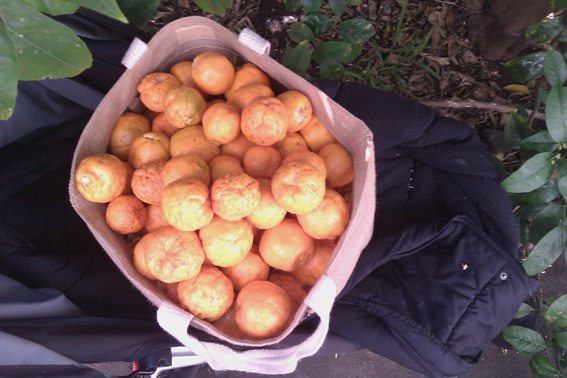 The first harvesting event will be held in mid february and continue into citrus season! So far they are receiving many registrations for volunteer harvesters (which is great) but not as many trees as they had hoped for. This is a great service for those people who don't have time or the inclination to harvest their own tree, or are just stuck with too much fruit! Sharing Abundance is a viable, local food system involving mutual exchange of fresh produce and labour in a fun, sociable way. 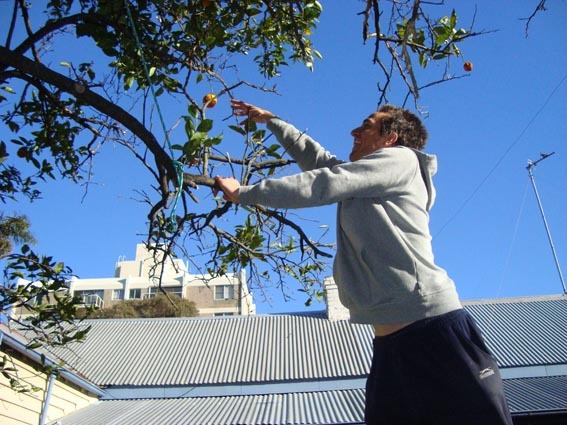 Local co-ordinators organise groups of people to harvest excess backyard produce and maintain fruit trees. Produce is shared between those involved and those in need such as local schools and hospitals. 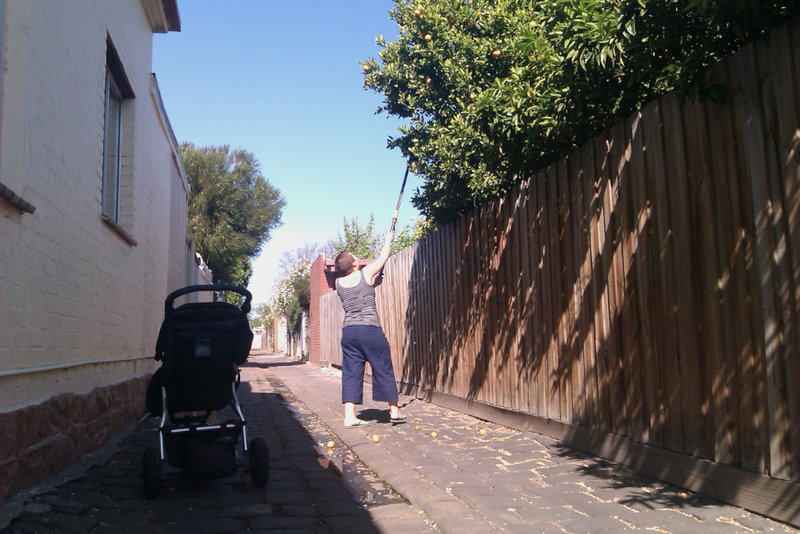 If you have a fruit tree in your backyard, or want to get out and about with your neighbours, it’s easy to be involved. Sharing Abundance offers 3 different ways to share fresh food. Harvesting – When a landowner can’t keep up with the seasonal abundance of their fruit tree(s), they let us know and we mobilize our volunteers to pick the bounty and care for the tree. The harvest is split three ways: 1/3 is offered to the tree owner, 1/3 is shared among the volunteers, and 1/3 is delivered by bicycle to schools, aged care facilities and community kitchens in the local area. Mapping – We map urban areas where fresh food can be collected on or over public land. Register your interest to get involved by following this link. Volunteers can register to run events to harvest, maintain and map areas. Register to have your tree harvested and maintained by Sharing Abundance volunteers. As an organisation you are able to register your support or request to be supported by food donations.